A while back, I spent some time talking about my love of (and often annoyance with) light novel (LN) adaptations. 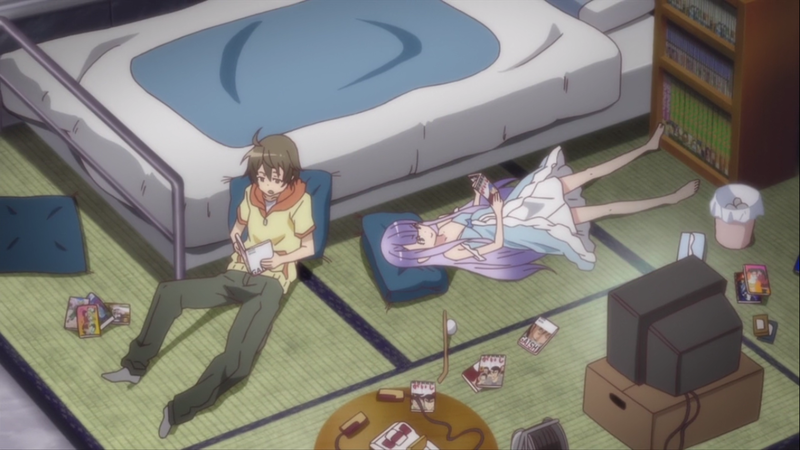 At that point, there was a slew of excellent LN adaptations I had been watching, ranging from the ridiculous NouCome to the super “that’s so anime” Strike the Blood and the very pleasant and endearingly clever Outbreak Company. 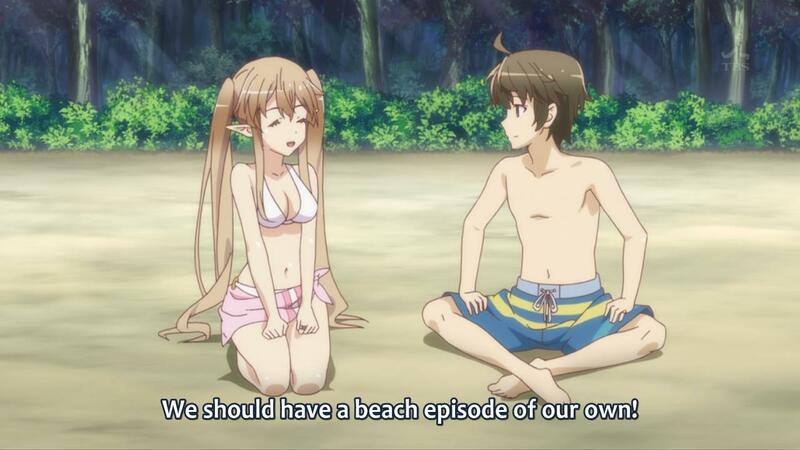 For those of you who haven’t seen the show/read the books, Outbreak Company follows Shin’ichi Kanō, a young secluded otaku who is offered a job thanks to his vast knowledge of anime, manga, and video games. After meeting his new employer, he is kidnapped, awakening in an alternate fantasy world in the Holy Eldant Empire. Shin’ichi, it turns out, was in fact selected by the Japanese government to help improve his country’s relations with this new world by establishing a company to spread the unique products of the Japanese (i.e. otaku) culture to this new, unexplored market. In his adventures to promote otaku culture, Shin’ichi meets, befriends, and inadvertently romances a wide range of characters, establishing his own small harem and even founding an actual “otaku school”. The show is actually quite meta, although in a much more constructive and critical (rather than cynical and self-indulging) way. 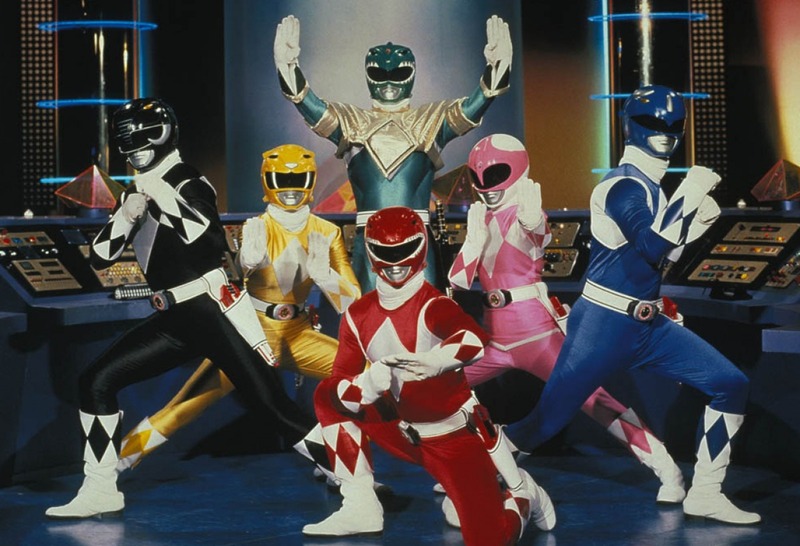 Cultural influence, soft power, indirect/persuasive power (or whatever you might call it), is fascinating, especially since it has a ton of real relevance to very involved members of the anime community like us. The draw of “otaku culture” is strong, and the idea of Japan using it as a type of real (and universal) force rather than just having it spread naturally (as it sort of does now) has been a big thing in Japan (at least in the government) for quite some time. And, for the most part, has not been a great success story since most of us overseas barely even know about it. Because of this, the idea of having the government back an “Outbreak Company” (clever clever) in Eldant, headed by an otaku, and helped by the Self Defense Force (JSDF), which is actually successful, is quite the intriguing story idea. I’m still undecided if it’s meant to be sort of an escapist novel (in the vein of LNs as a whole) for those who are entranced by the idea of government-led anime-backed soft power, a critique on the current government’s stance, an actual endorsement of the idea, or even possibly some combination of all of the above (or none of the above – I could just reading too much into it!). Since then, I’ve been thinking a lot about this type of thing — soft power, how it affects us, how it’s discussed, and what it actually is. And, after a lot of thinking, much discussion (including some with Froggykun! ), and lots of writing, I think I’ve finally come up with some answers. 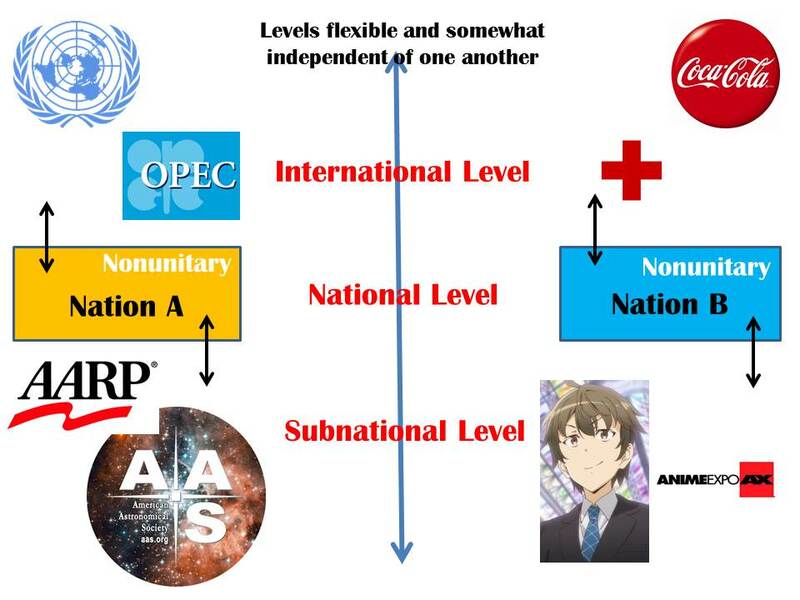 Surprisingly, many of them lead back to Outbreak Company — it turns out the scenario the show constructs actually is quite clever on a wide variety of fronts, and could easily be seen as the exact type of critique soft power needs right now (both in content and in form — what better way to criticize the valorizing of otaku culture than as a LN filled to the brim with otaku culture?!) or its exact opposite. I generally am a constructive, positive guy, which showcases itself in how I interpret shows. 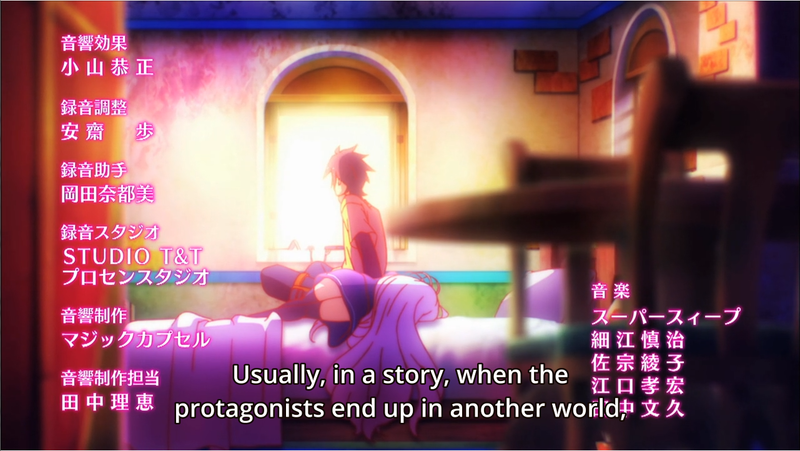 Most recently, for instance, I’ve found myself one of the lone defenders (or at least, I feel that way) of the philosophy at the heart of popular LN adaptation No Game No Life. The debate here parallels the dichotomy above: while I feel as if the show is constructive, critical, and nuanced in the ways in represents otaku and their worldview (many of which, like geekdom, can be negative), many feel the opposite. While the show might be “clever”, maybe it’s not actually clever in all the right ways. Is it just being meta-aware? Or is it more than that? Or maybe, as shows like Oregairu might tell us, passing such a judgment is difficult and profoundly personal when we are shown the world exclusively from the protagonists point of view yet try and extrapolate to something more “objective”. Edit: Soon after this was posted, there was a discussion on Twitter which expands on this idea. 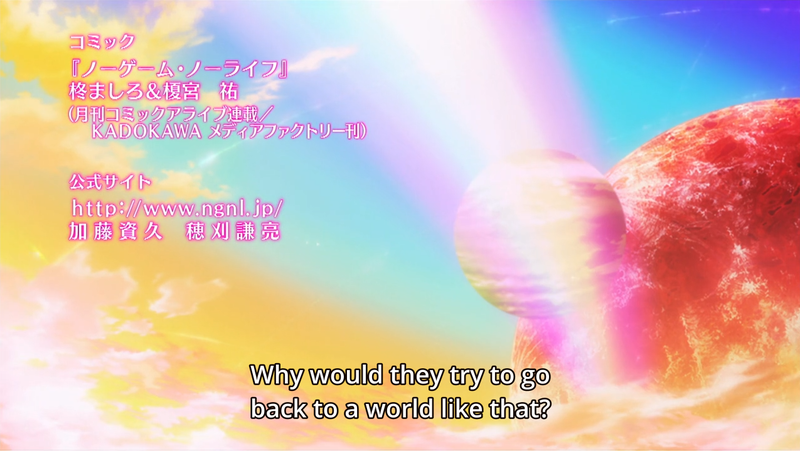 If this meant to be the world through Sora’s eyes, is the reader supposed to receive this as irony or truth? This point — the fact that viewers aren’t just empty vessels, but have the freedom to interpret things and ultimately decide how they feel about them — is I think the key to understanding soft power (yes, back to that! ), how it works, and ultimately why it has failed. Or at least why it seems to have failed so far. Note: This is an entry in a series of more academic posts all about soft power. While it is technically related to anime (one of the main motivations for exploring the issue), the actual posts themselves are a little bit removed. Since I’m pulling from a lot of sources in these posts, I’m including citations in case anyone is interested in following up on some of them here. In my opinion, power, distilled into in its most basic form, is the ability to get others to behave in ways beneficial to oneself. Or, more basically, the ability to get people to do what you want. Symbols of power that encompass all of the above suggestions. Those are perfectly reasonable definitions: you could easily equate power to some type of physical or mental concept associated in some way with capacity. Here, the nature of power changes from a relationship to a resource, one that can be exerted or used. While some component of power is usually physical, much of what actually constitutes power is precisely the relationship between the oppressor and the oppressed. Or, in other words, the main reason the things above function as stand-in’s for power is because they can get people do stuff. Don’t get me wrong: there is power in the ability to destroy things and make people’s lives horrible (which is why there is some credence that military or economic might constitutes a form of power), but much of the reason countries with powerful militaries are seen as powerful is more because of the implied threat (and thus bargaining ability, influence, etc.) that gets people to do things than the actual military itself. “Power” is a common part of our lexicon, and is used liberally to refer to situations that occur at almost every level of society, from the interactions that take place among individuals (e.g., the workplace) to those that take place between nations. This wide range of uses (and associated concepts) makes defining the general-purpose term extremely difficult. So, to make things easier (and make my definition useful), I’ll do what all academics do and simply deal with power as it relates to a given field or topic. In this case, since we want to talk about soft power, I’ll limit it to international relations. In international relations (IR), power (well, political power) was originally tied to relations between nations. As political theorist Hans Morgenthau stated, for instance, political power is a “relation between those who exercise authority over those whom it is exercised [upon]” (Morgenthau 1985). 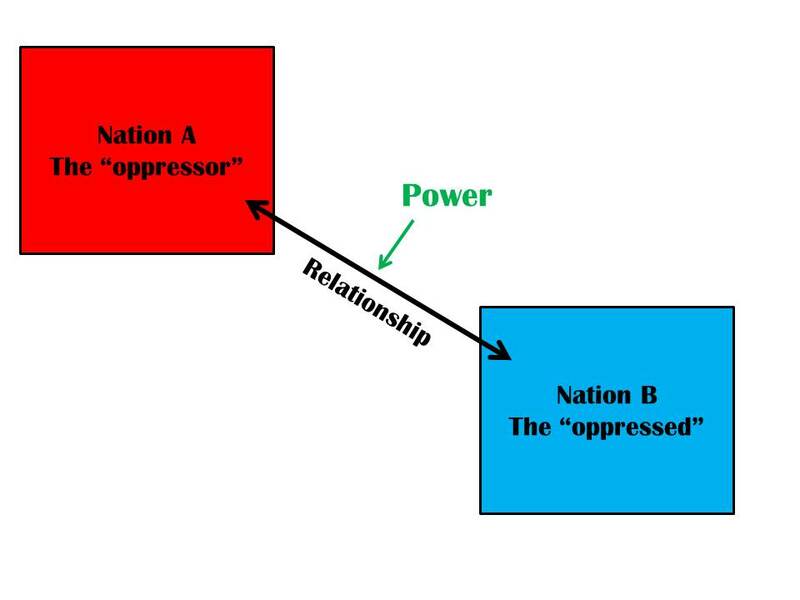 As with the definition I proposed above (which I actually came up with completely independently – go figure), power involves two sets of actors, and it is the relationship between the two that defined a nation’s “power”. Power defined by (and within) the relationship between two nations. It cannot exist outside of this relationship and, to a large extent, outside the context of actual events through which the relationship is established. 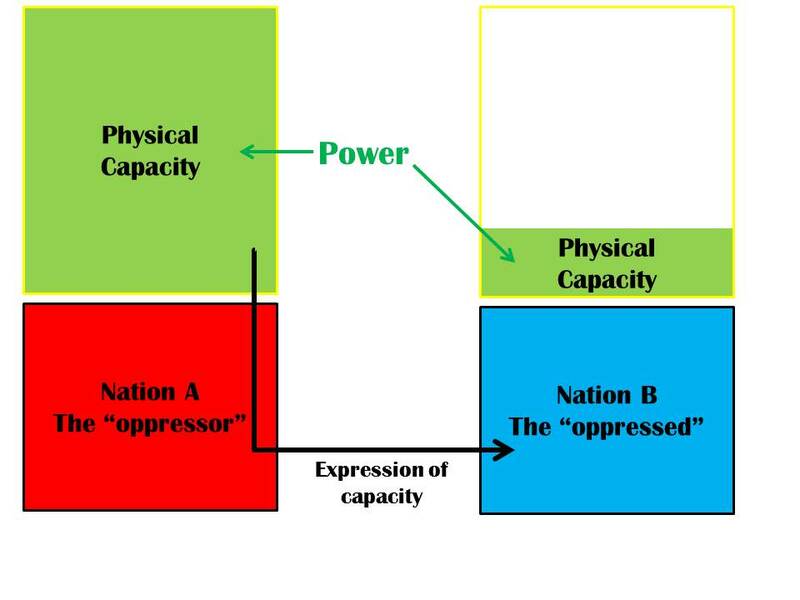 More recently, however, power in IR has often been used to refer to a nation’s strength or influence in the abstract, where a nation’s power is equated with the capacity or ability to exercise power, much in the same way as I discussed above (Waltz 1979). Seen this way, “power” is not a relationship or descriptor but a resource that countries can possess and deploy as they see fit. Power defined by capacity. Here, power can exist outside the context of other events or actors. Instead of being expressed within a relationship, power is instead expressed through them. This type of modern political power comes in two basic forms. The first, hard power, lies in the ability of one actor (usually a nation) to coerce another through force or threats of force such as military invasions or economic sanctions (Nye 1990). This type of power was most exemplified during the Cold War era through systems such as the US’s policy of “containment”. Typical expressions of hard power do not need to be limited to negative incentives (i.e. “sticks”) though — it can also be expressed through positive incentives (i.e. “carrots”), which function in similar ways. The second, soft power, is traditionally defined in opposition to hard power as the ability of one actor to instead attract and co-opt another by, for example, projecting a positive national image through mass media, international trade, or foreign policy (Nye 2004). The underlying implication that a nation can achieve its goals without resorting to force has led soft power to become a relatively popular concept since the Cold War era, with many nations becoming actively involved in trying to cultivate their soft power and win the hearts and minds of those abroad. If you’re not absolutely convinced at it’s importance (like so many politicians are), it’s actually become enough of a big idea to get its own set of international rankings. A quick table summarizing the differences between hard and soft power as defined by Nye. Japan is a fitting example of a nation that has fully embraced this soft power approach. As a nation without significant military presence in the midst of the decade-long economic recession (i.e. the “Lost Decade”), the concept of soft power has proved particularly attractive to Japan as a method to project its influence outside the “typical” channels mentioned beforehand. 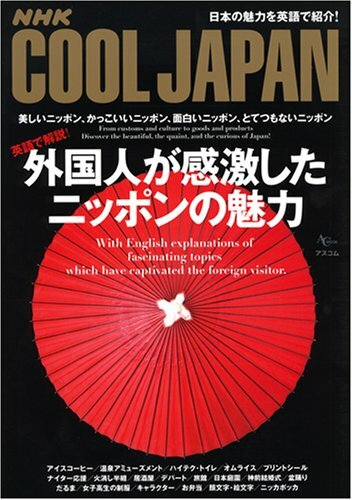 Inspired by Douglas McGray’s 2002 Foreign Policy article “Gross National Cool” describing the popularity of Japanese pop culture abroad, Japan has since begun an entire “Cool Japan” initiative to try and capitalize on its pop culture to increase its soft power abroad (Nagata 2012). By doing so, the Japanese government hopes to further national interests ranging from increased tourism and economic investment to overcoming historical postcolonial tensions in the East Asian region (The Japan Times 2012; Kelts 2013). Note: For some reason, Japan is often seen as “a nation without a standing army”. In fact, Japan’s Self Defense Force (SDF) is one of the most powerful/technologically advanced militaries in the world both in absolute terms and relative to its current size. Article 9 of the Japanese Constitution has generally restricted its offensive military capabilities and hamstrung its ability to engage in bilateral military activities with other countries though, which is probably what leads to this impression. Yet for all this, soft power remains an elusive and ill-defined concept (since the definition above is actually quite lacking, albeit profoundly influential). The precise method by which Japan and other countries can “increase” their soft power — let alone control it — has proven difficult to pin down by both casual observers and academics. In addition, the exact role soft power plays in IR remains unclear. While it clearly has utility in accomplishing national goals (like increasing tourism), it will remain an unhelpful and possibly misleading concept until these issues are resolved and soft power’s role in IR is firmly grounded. Note: For more discussion of many of these issues in the context of East Asia, see also Black, Epstein, and Tokita (2010) (link). So, before I go on and talk about exactly what soft power is supposed to be, I want to talk a little bit about some of the role soft power is supposed to play in the context of IR. Or, more precisely, different IR theories, since academics don’t actually understand fully how lots of what goes down actually works and the forces that drive them. The international system under which nations operate and interact is inherently “anarchic”, with no (meaningful) universal government that “polices” national entities. Nations within this anarchic system are unitary, rational actors that tend to pursue self-interest and resources (i.e. power) with the primary focus of survival. Nations are the most important actors in IR, and are always in a state of constant antagonism. From this viewpoint, power is almost universally seen as coercive in nature. As a result, hard power — especially military power — tends to be the most popular among realist-focused IR theorists who view IR as nations attempting to re-center the balance of power to suit their own interests and ensure their security (see, e.g., Friedberg 1993). Under this framework, Japan’s lack of a “real” military (despite obvious facts to the contrary) and growing passivity after WWII have been presented as signs of its lack of power in IR (Yasutomo 1995). In addition, China’s growing economic and military might have even led some to decry a “power shift” in the East Asian region (Hagstrom 2012). From such a realist viewpoint, Japanese pop culture’s popularity abroad is almost meaningless in the face of real capacity and hard power. While it may seem over-simplistic at first, this point does have its merits. It is most easily demonstrated using a simple thought experiment: assuming China decided to go to war with Japan in the near future, would Chinese anime fans (or other members active in consuming Japanese popular culture) protest their government’s decision? Probably not. A quick graphic summarizing realism. The tradition of liberalism in IR theories, on the other hand, arose in the post-WWI era and developed in response to the difficulty nations experienced in controlling and limiting war via IR. Unlike realism, liberalism contends that it is possible to reduce the likelihood of conflicts and violence in world politics through international institutions, democracy, and trade (and so is in general much more positive!). While both theories hold that nations are central actors in an otherwise anarchic international system, in liberal IR theories the emphasis shifts away from nations as unitary actors and interactions on a strictly national level. Instead, economic interdependence, institutions and actors both above (e.g., the United Nations) and below the national level (e.g, non-governmental organizations), and national preferences are emphasized as the most important factors to understanding IR (Moravcsik 1997). Power still arises through typical hard power channels (e.g., military might and economic sanctions), but it becomes decentralized and less subject to the direct control of the state. This decentralization and focus on economic and institutional power beyond simply the national level, liberalists argue, is key to understanding why, for instance, the East Asian region has actually been so peaceful (one of the most peaceful places in the world, in fact) in the post-Cold War era (see, e.g., Drysdale 2012 or Armstrong 2012). A quick graphic summary of liberalism. Note that many organizations can straddle all levels, and the relationships among each of them (and the countries they might be associated with) can be highly complex. Constructivism emerged in the mid-1990s as a challenge to dominant realist and liberalist paradigms, such as the focus on materialism and capacity (through, e.g., military and economic power) and the anarchic nature of the international system. Instead, as political theorist Alexander Wendt put it, the “structures of human association are determined primarily by shared ideas rather than material forces, and…the identities and interests of purposive actors are constructed by these shared ideals rather than given by nature” (Wendt 1999). Because of this, rather than military capacity or economic strength actually driving IR, nations only behave in certain ways because they have assigned certain priorities to material objects such as cash flow and military capacity. 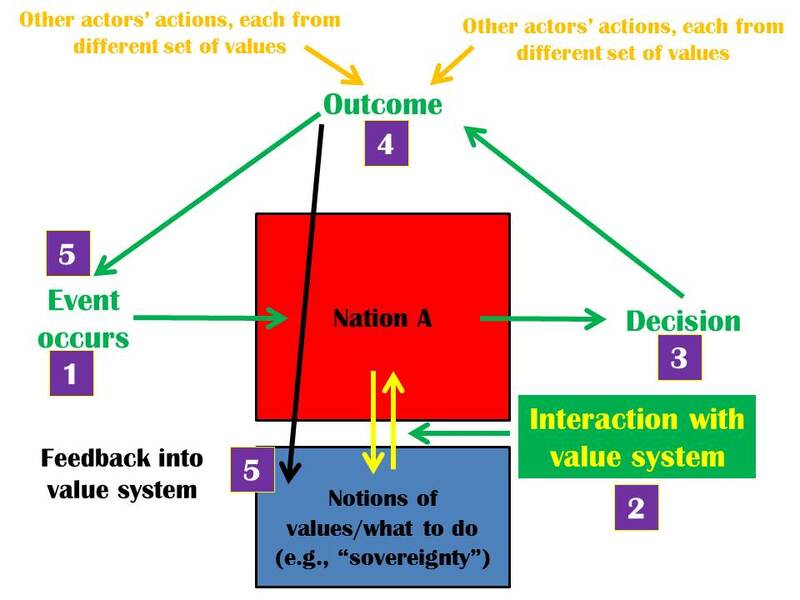 In addition, the “anarchic” nature of the international system is instead a cultural, subjective concept rather than a fixed, objective reality, with differing perceptions of the international system affecting how individual actors behave in the context of IR (e.g., the behavior of the US vs. North Korea). Due to this shift away from the determining effects of anarchy and materialism, constructivists instead attempts to analyze IR by looking at national interests, identities, and symbols of power, such as the projection and construction of state sovereignty (Biersteker and Weber 1996). This view of power provides room for soft power to operate, and is arguably key to understanding territorial disputes such as those between China and Japan over the Senkaku/Diaoyu Islands (Suganuma 2000; Deans 2000). Note: I always find it ironic that these are called “islands”, since they’re all actually pretty tiny and collectively (including all the water between them) take up only 7 square kilometers (~2.5 square miles). The Senkaku Rocks is probably a better and more accurate name for them. A graphical representation of a sample interaction within constructivism. Here, actors don’t necessarily obey the same set of assumptions (as in realism or liberalism), but rather construct their own based how they interpret and/or perceive events. It also emphasizes how power can be expressed through symbolic, rather than strictly material, means. Note: I just realized this post is pretty timely considering what’s currently going on in Ukraine/Crimea. Obviously each framework for IR is oversimplified and incomplete. 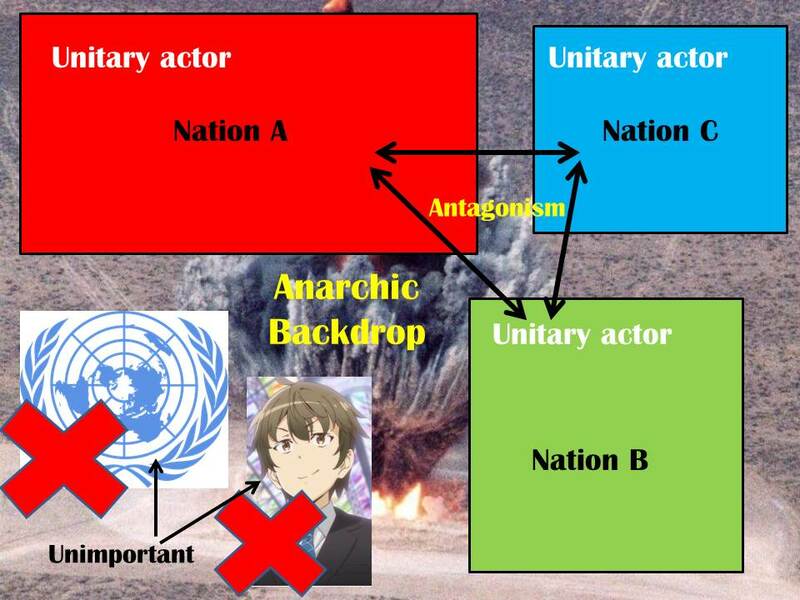 Nations are not completely unitary nor are they fully rational, and differing perceptions of “anarchy” in IR play a role in determining how nations behave and interact. While physical institutions and material forces also influence how nations interact on a variety of different levels, they are not the only reasons nations behave the way they do. Furthermore, the role of the unitary state and of material entities has a real impact and should not be ignored in favor of abstract ideals — although threats of military invasion or economic sanctions might not cause all nations to behave the same way or otherwise respond as expected, this does not mean they do not have real power to wreak havoc on the lives of those who inhabit that nation. 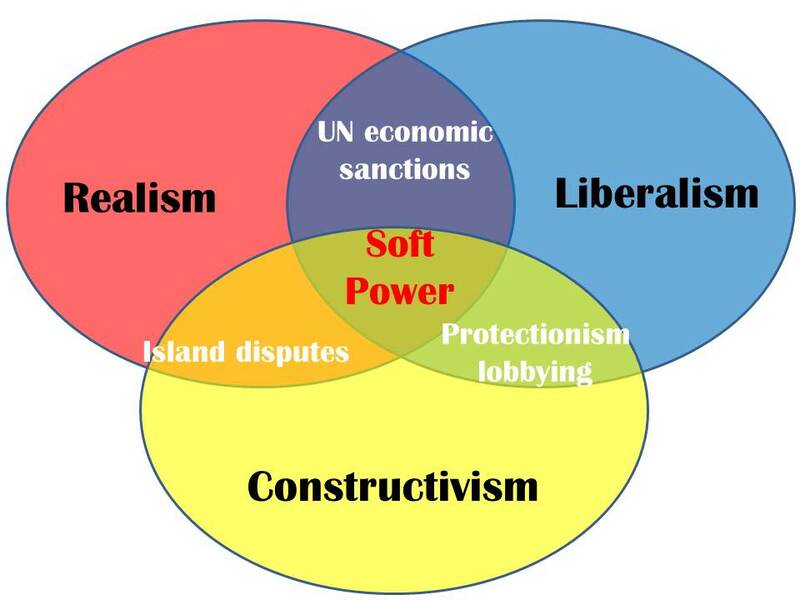 Soft power, then, can be seen as the simultaneous interaction of all three IR theories, where nations attempt to project realist notions (e.g., the unity of the state) through more liberalist means (e.g., economics via many disparate actors below the national level) in a constructivist manner (e.g., turning objects into symbols of national power) to achieve goals that are a combination of all three (e.g., increased “prestige” and power in IR). It thus serves as a good way not only to analyze different IR theories, but also to investigate how nations tend to try and express their very ideas about these theories! And, of course, allows us to try and understand how anime fans like us fit into the whole scheme of things :). A venn diagram illustrating the last point, with a couple examples of where different theories (and their underlying motivations) intersect. Great post! Soft power and cultural consumption are two interests of mine and Japan’s capitalization on both is an important part to understanding how Japan presents and tells its cultural identity and history through popular media. I think soft power can gain weight in the sense that it can not only shape foreigners’ perceptions of the identity (i.e. increasing empathy and sympathy) but can also become inspiration for “hard power” (for example, say that Japan builds such a positive image of itself that countries buy it and remove the restrictions Japan has on its military force deployment). Can’t wait to see what you have to say about soft power and anime, specifically! Thanks! You actually hit upon a lot of the ideas I will be talking about in the next post or two…although I’ll mostly by trying to dismantle most of them. While I completely agree that soft power (or cultural flows – whatever terminology you like) can shape perceptions of identity both 1) of a certain culture and 2) with respect to it (although what exactly that means and how that works is an open question), and serve as a foundation for “hard power” (or a multitude of other things), I think a crucial part most people overlook is that it’s the process of actually making connections that gives these things meaning (and power).